4 YRS Jiangxi Angnaiya Industrial Co., Ltd.
4. Immediately stamp the image to pick up the design. 5. Stamp the image onto your nail with a gentle rolling motion. - Clean the scraper and image plate with nail polish remover after each use. 3 YRS Yiwu Fivor Art Co., Ltd. Profession Well trained and experienced staffs to answer all your enquires in fluent English. Confidentiality Protection of your sales area, ideas of design and all your private information. May we customize the products in our requirement9 A: Yes ,You can customize if you want. 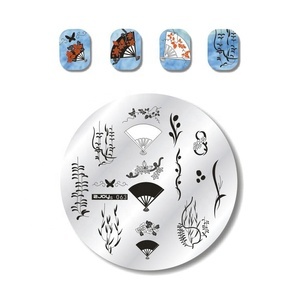 3 YRS Ruian Forefront Art Co., Ltd.
2 nd step: Apply the nail polish to desired image within a plate. 5 th step: Stamp the image on your nail with a gentle rolling motion. 7 th step: After stamping nail art, apply top coat for lasting wear. 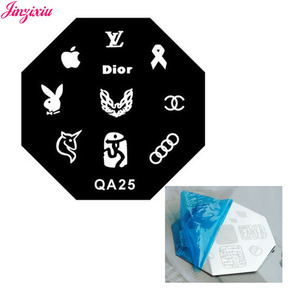 5 YRS Cangnan Xiuya Arts & Crafts Co., Ltd.
6 YRS Guangzhou Senyang Trading Co., Ltd.
2.We have more than thousands of design ,per month we have new designs. 3)Before put order or Mass production ,supply samples first are acceptable. 2.we have a professional production team and sales team. 2 YRS Wenzhou Shengxuan Arts & Crafts Co., Ltd.
11 YRS Tianjin Huaying Printing Co., Ltd. Customer DIY Nail Art Stamping kits Different Style for Nails Total style : 192 different styles for your choose Specifications:12pcs/box ,36boxes/set detail picture for 3D nail art stamping kits this nail art stamping easy to apply. and they have 192 different style for your choose . welcome to inquiry . 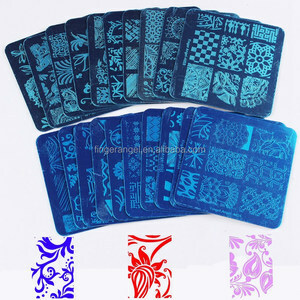 Alibaba.com offers 1,899 stamp art plate products. About 77% of these are other nail supplies, 1% are stainless steel sheets, and 1% are dishes & plates. A wide variety of stamp art plate options are available to you, such as free samples, paid samples. There are 1,899 stamp art plate suppliers, mainly located in Asia. The top supplying country is China (Mainland), which supply 100% of stamp art plate respectively. 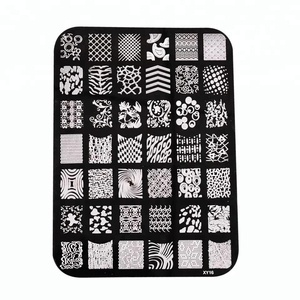 Stamp art plate products are most popular in North America, Domestic Market, and Mid East. You can ensure product safety by selecting from certified suppliers, including 112 with ISO9001, 30 with ISO14001, and 24 with FSC certification.